Last Friday the 14th’s show was a fun, calming, energetic, and FREE one consisting of only two acts. The reason this show was free is because THE GARAGE’s video team recorder the entire performance of headliner, Bomba de Luz. The first act was hip hop artist, James Franken. He was on stage with three other friends who performed with him throughout his set, sometimes it was just him and sometimes it was all four together. The cool thing about their set was along with the raps they’d prepared for us, they did a few freestyles as they passed the microphone around their small group. 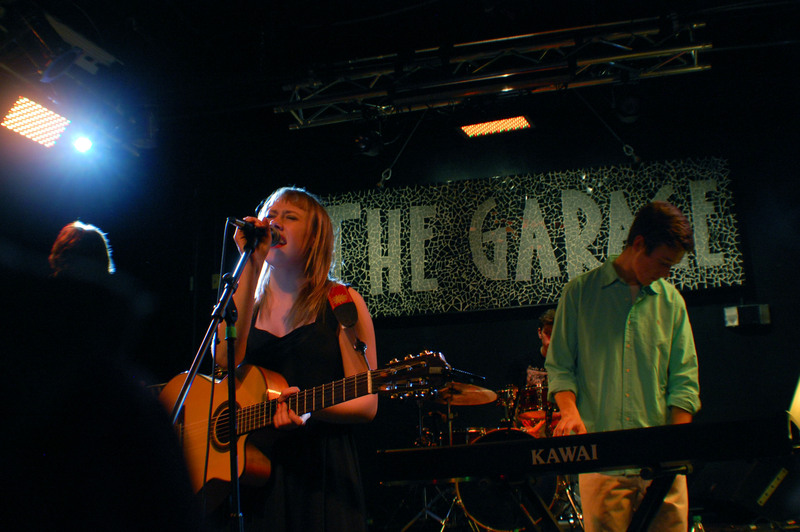 The second group was Bomba de Luz, is almost a folk music band, consisting of five members with a lead female singer. Everyone in the crowd was clapping and dancing along with all of their songs. Many of them were the type of calming music you turn on if you’re having troubles falling asleep at night or just relaxing. At one point, the singer asked the crowd who in the audience had ever seen them before, and almost the entire crowd yelled back that they had. They had a very fun, soothing, exciting set in which they played their old and newer songs. Stay tuned for the Bomba de Luz performance video on our Facebook page and YouTube channel.